What’s My Claim Worth has extensive experience dealing with trip and fall claims that have happened in a wide variety of circumstances. 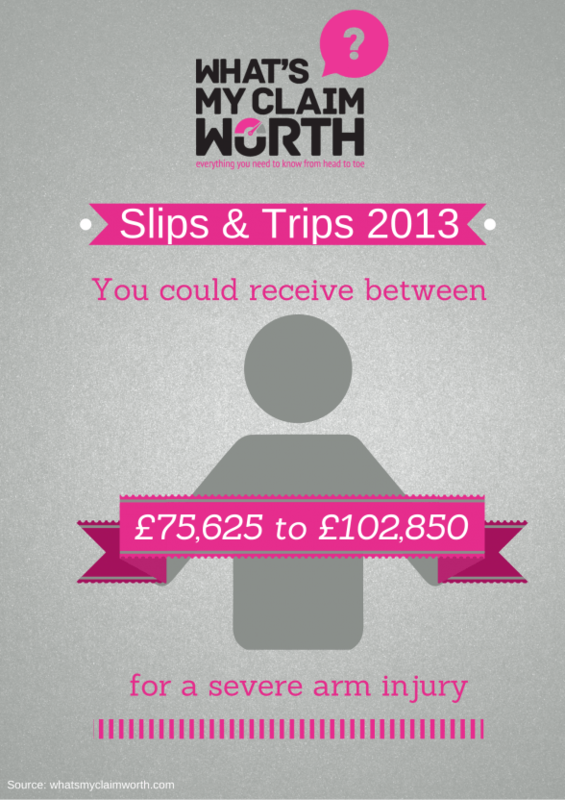 Our specialist slip and fall lawyers will fight for the slip injury compensation you deserve. They understand it can be a difficult and daunting time for you and will do their best to offer a sympathetic ear, along with unrivaled legal advice. If you have suffered a personal injury that wasn’t your fault, you may be entitled to make personal injury compensation claims. 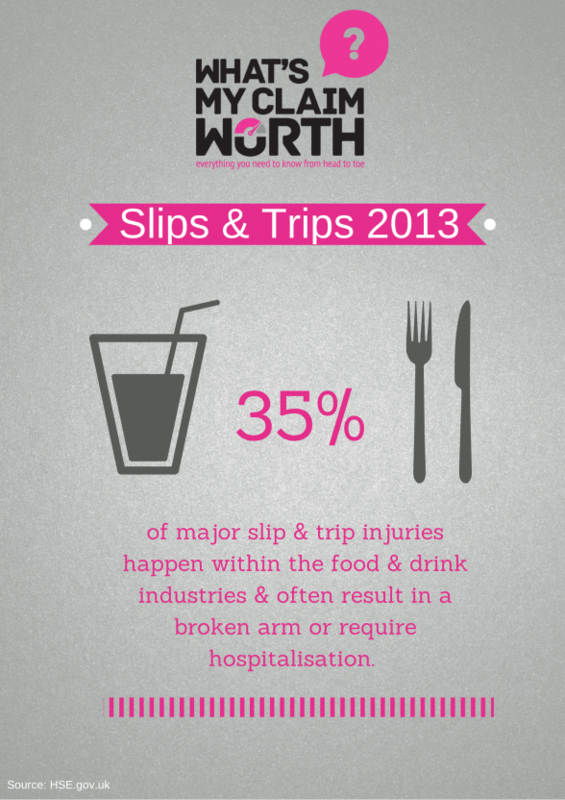 Slipped in a public setting, such as a train or bus station, car park, hospital grounds, school grounds etc. Those responsible for public areas have a duty of care to protect you from any injury. 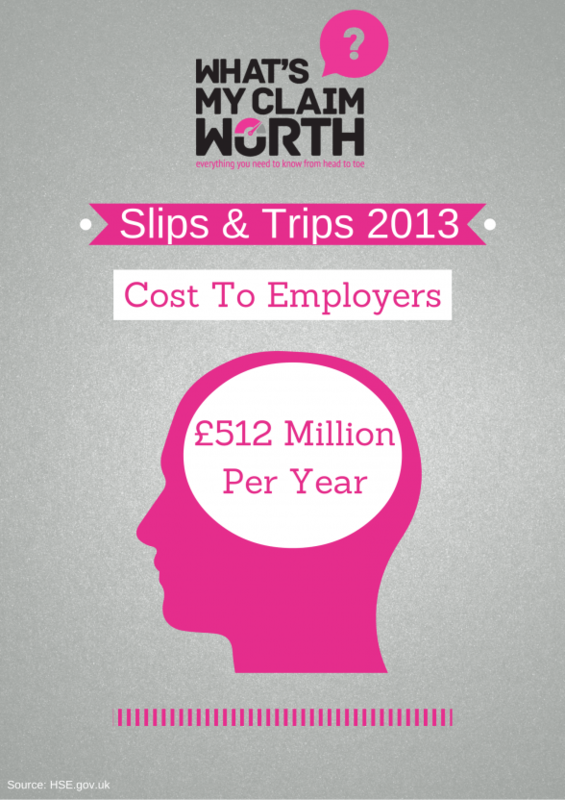 If you think you deserve slip at work compensation or similar, don’t hesitate to contact us today. This is an accident that occurred on the 19th December 2008. A lady was attending a staff Christmas party at her employer’s premises. She slipped on drink spilt on the floor and in putting her arm out to break her fall, she sustained a fracture to her right wrist. 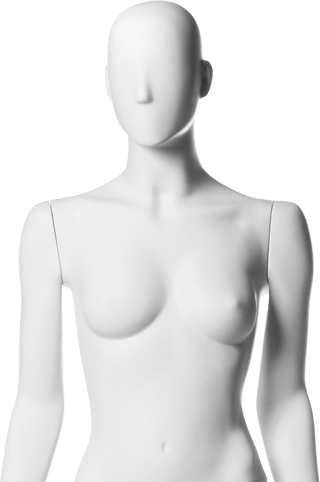 Failed to place her feet carefully and was under the influence of alcohol and therefore not entirely in control of her movements. This was not an argument accepted by the claimant and she was successful in settling her claim for damages in the sum of £5,900.